I Think I Grind My Teeth At Night, Do I Need A Night guard? Blog I Think I Grind My Teeth At Night, Do I Need A Night guard? Do you ever wake up with a sore jaw, a headache or tooth pain? These are general symptoms of teeth-grinding or sleep bruxism. The American Dental Association estimates that 10-15 percent of adults cope with sleep bruxism, and kids can experience it as well. Because it occurs while sleeping, it can be challenging to manage or prevent. Wearing a night guard is one way to protect the teeth from the damaging effects of grinding. Night guards are made to stop the damage done by bruxism or grinding at night. They can also be used to stop clenching. Using a night guard provides a cushioning effect so that the upper and lower teeth can’t wear away at each other. It will protect your teeth from chipping and erosion tooth damage caused by grinding, but as long as the grinding still happens, other symptoms like jaw pain may not change. The idea is if you are going to grind then grind the night guard instead of your teeth. If you destroy your teeth grinding at night it is expensive to repair them. Once tooth structure is gone, it is gone, and you can’t get it back. On the contrary, if you destroy the night guard grinding, we can always make another one. Guards are cheap teeth are not. Night guards can prevent grinding as well. Do an experiment with us right now. 1- Bite your teeth together. 2- Relax. When you relaxed did you feel your teeth come a few millimeters apart? That is called the “rest position.” When you are in the rest position, your closing muscles are not contracting, and your opening muscles are not contracting. You are at rest. Night guards should put acrylic between the teeth enough to keep you in the “rest position.” On most people, if they are in the rest position, they do not grind. Although some will continue to grind at night, the guard is there to protect their teeth in this case. Night guards are not retainers, and retainers are not night guards. Invisalign trays or Essex retainers do not protect the teeth from grinding and do not hold you in the rest position that we desire. 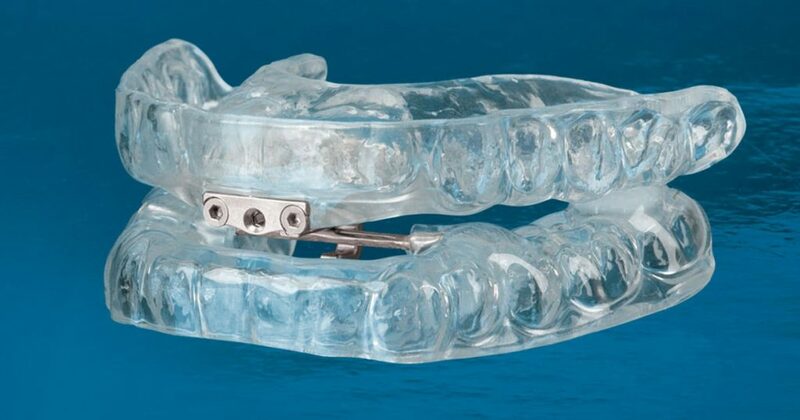 Although a night guard can be worn in place of a retainer if it is a real one made by a dentist. It will hold the teeth in place all night. A night guard bought at a drug store or ordered online doesn’t do this. You can either get a custom night guard from the dentist or buy your night guard over-the-counter. A standard over-the-counter night guard requires you to mold it to your teeth by boiling it, giving it some time to cool, and then gently biting into it. If you get your night guard from your dentist, the additional comfort and quality will be worth the higher cost. 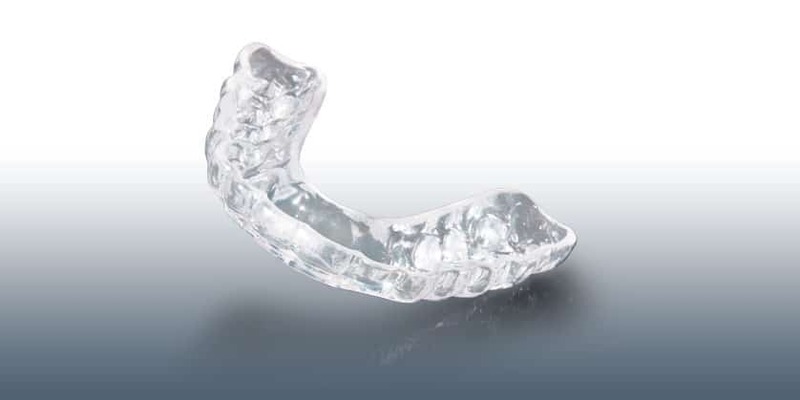 These night guards are fitted with an impression of your teeth taken by dental professionals and then made in a laboratory to custom fit your mouth. If you don’t want to end up with a smelly, gross night guard, it’s essential to clean and store it correctly. Always clean your night guard when you remove it from your mouth. Brush it when you brush your teeth using toothpaste if fine if you want. To prevent the growth of bacteria you should never store your night guard wet, instead give it a chance to air dry before storing it in its case, and it’s usually better to leave it on your bedside table instead of in the bathroom. The main reason we re-make oral appliances such as retainers, night guards, sleep apnea appliances is because pets eat them. That is right dogs, and even cats chew them up. So keep them stored where our furry friends can’t get to them. Sleep apnea appliances are really effective at getting people sleeping better. Often times CPAP users will find they can get rid on their CPAP machines by this simple oral appliance. If you think you may have bruxism, don’t wait; come talk to us about it. We can help you with other methods of reducing the symptoms, such as discussing ways to reduce stress levels and recommending an orthodontist if misaligned teeth are contributing to the grinding. Thank you for trusting us to take care of your dental needs! Give us a call with any questions you may have at McOmie Family Dentistry 423-899-1112.